CMYK essentially stands for Cyan, Magenta, Yellow and Key (Black). The letter K is used for Black because B cannot be used as it already denotes Blue in the RGB color system. RGB stands for Red, Green and Blue. This is the color code used by electronic display systems. The RGB color model would be inefficient for certain printing purposes, because inks of three colors (red, green, blue) would have to be mixed to get white, which is usually the most dominant color for a document containing text. Paper is already white, and so, it makes no sense to waste three inks to get something that you already have. If we used the RGB color system in printing, huge quantities of ink would be consumed unnecessarily. So the CMY (Cyan, Magenta, Yellow) color system became the solution! Cyan and magenta can be combined to yield blue; magenta and yellow when combined together gives you red; and yellow when mixed with cyan results in green. Black is a combination of cyan, magenta and yellow – but printers realized there was no need to mix three inks to get black, black ink could be used separately for the purpose. This was also more efficient, and resulted in what is known as four-color printing or CMYK (Cyan, Magenta, Yellow and Key). CMYK is considered to be a subtractive color as colors are needed to be subtracted in order to achieve other variations until it becomes white. Why is Black called ‘Key’? It was Johann Gutenberg who invented the printing press around 1440, but it was Jacob Christoph Le Blon who invented the three-color printing press. He initially used an RYB (Red, Yellow, Blue) color code – red and yellow gave orange; mixing yellow and blue resulted in purple/violet; and blue + red gave off green. All the three basic colors (red, yellow, blue) still needed to be combined together to get black. Realizing this apparent inefficiency, he added black as a color to his press and came up with the four-color printing system. He called it RYBK and was the first to use the term ‘Key’ for black. 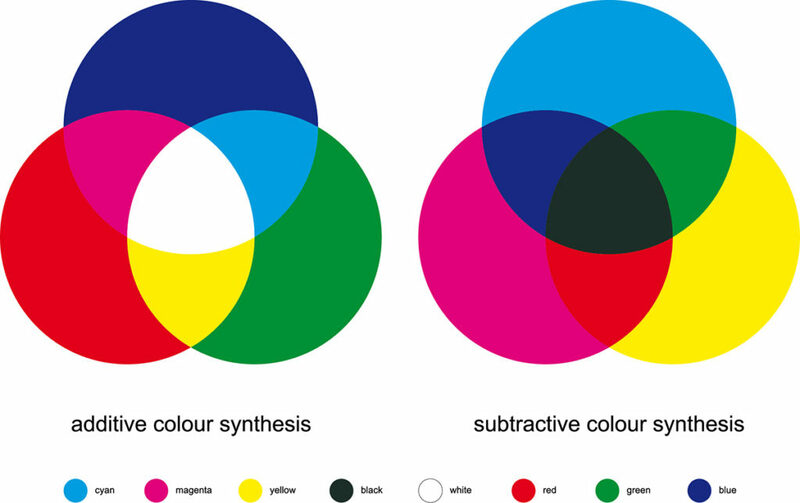 The CMYK color model continued this by using the same term for black. Red and blue are primary colors and has been used in a lot of custom printing work, but today, there has been an increase of new variations of colors that are being used in printing. The CMYK color system has become a popular choice for packaging as it consumes lesser ink overall compared to RGB. Custom packaging is still efficient with offset printing, flexo printing, and digital printing using CMYK, as the RGBcolor code results in a print output different from what you see on the screen. This is owing to the fact that several colors possible with RGB cannot be reproduced by the CMYK system. It is therefore recommended that you convert your custom packaging image from RGB to CMYK using the graphics software, check if you would be happy with the result and then go ahead with the custom printing job. If you aren’t happy, you can make the necessary changes. Alternatively, you could work with the CMYK color system right from the start.